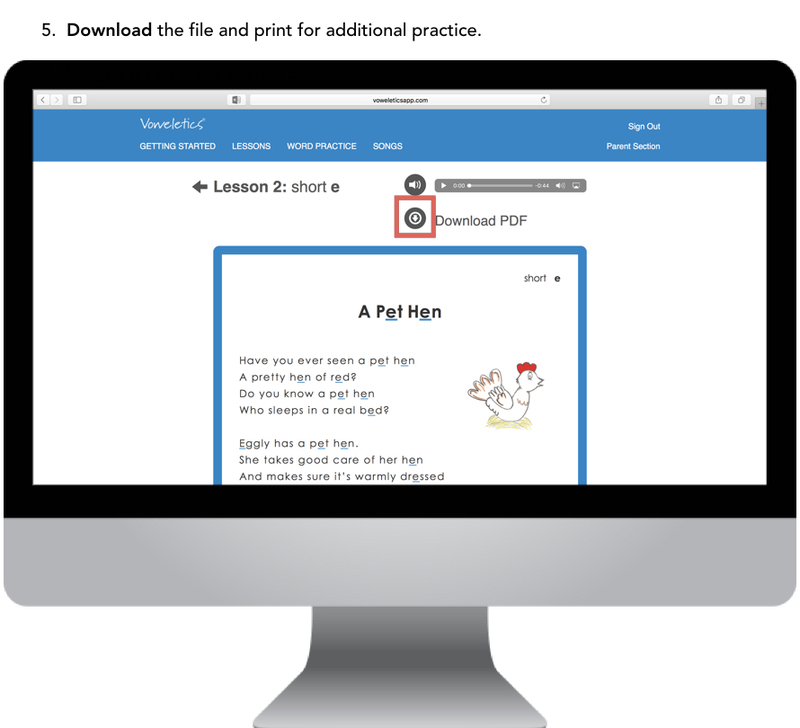 Reader's Theater is a collection of phonetically patterned poems and letters. They provide an opportunity to practice the new vowel skill in context, increase fluency and provide exposure to quality literature. The literature pieces are multi-leveled via skill level and are listed in the lessons by the order of difficulty. You should choose the appropriate skill level for your child. Decodable Readersville Letters written by the five short vowel characters to one another, add a personal dimension to the program. The letters provide your child with a constant dialogue regarding what is happening in Readersville, the town where the Voweletics characters live. The vowels in the Reader’s Theater pieces are underscored in colors corresponding to their vowel classification. The literature pieces are multi-leveled via skill level – Levels I, II and III. They are listed in the lessons by the order of difficulty. You should choose the appropriate skill level for your child. You will find PDFs located under the audio files on the web. You may choose to print these for your child to practice. 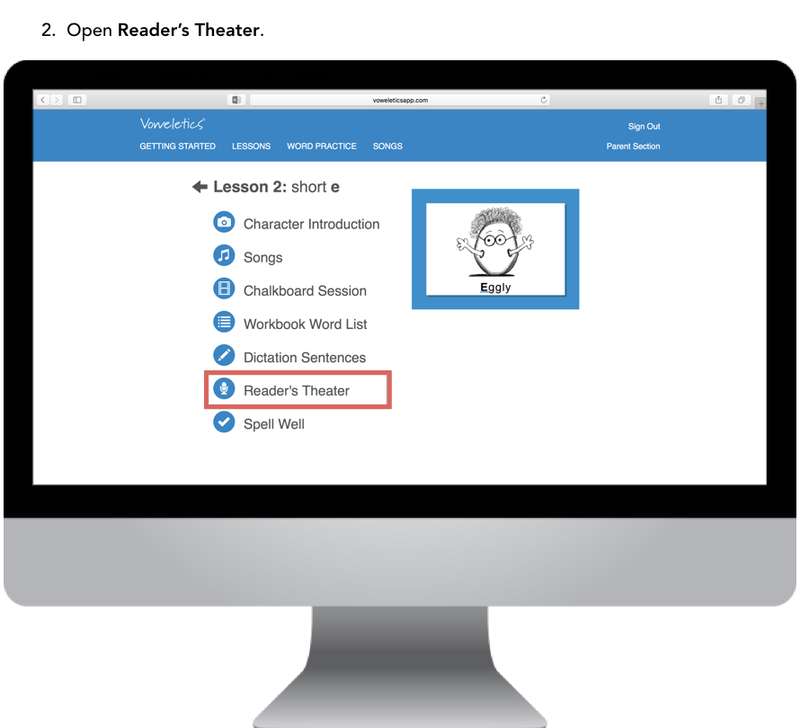 You and your child can share all three Reader’s Theater pieces together for additional reading practice. However, choose only one for your child to practice repeatedly to watch their fluency grow. By listening to the audio file, your child can practice proper phrasing, intonation and expression. Give your child this opportunity to shine! After practicing five times, your child would love to perform in front of an audience. This could be a friend, grandparent, neighbor or other family members.